As someone who is interested in seeing this done in Pittsburgh, your experience is valuable. Do you have a suggestion as to how this could have been approached differently? Sure, it’s easy. Just don’t discriminate based on gender. You don’t need gender balance to have decorum; some rules are best left in the past. My original interpretation from the LJ post was that it was more complicated than simply don’t categorize people as to apparent gender (which might be different than the gender they identify with). 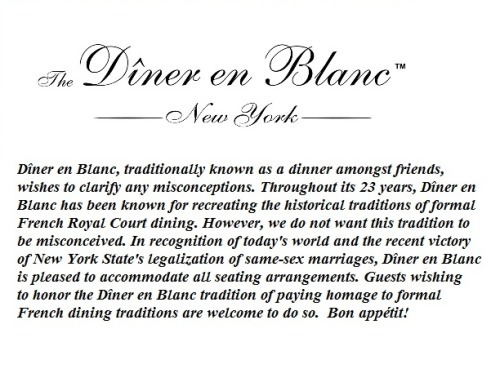 Perhaps I was overthinking when I considered that the organizers wanted people to not have an unpleasant dining experience by being paired with diners who don’t see things the same way.